Educational institutions and charity foundations offer scholarships to students, in order to help them with their studies. A lot of students try their luck for these, which is why the organizers make use of a scholarship application form to ease the whole process. The form comprises of a number of segments which have to be filled in by the applicant with relevant details. This Application Forms is then submitted to the concerned authority that reviews it and then decides whether the candidate is eligible for the scholarship or not. 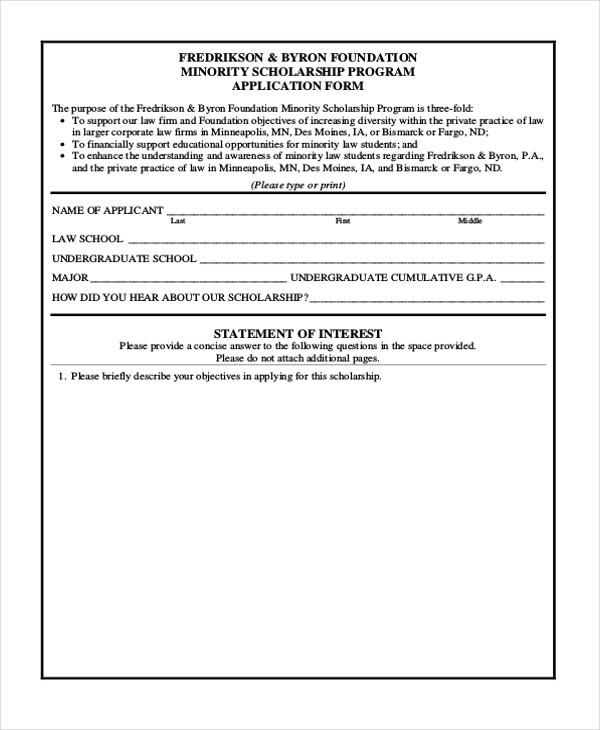 This is a blank scholarship application that can be used by any person or institution. The form comprises of all the essential segments that are required to collect the details of the scholarship applicants. The user can however make changes to the format or the subheads as per his requirement. You can also see Citizenship Application Forms. 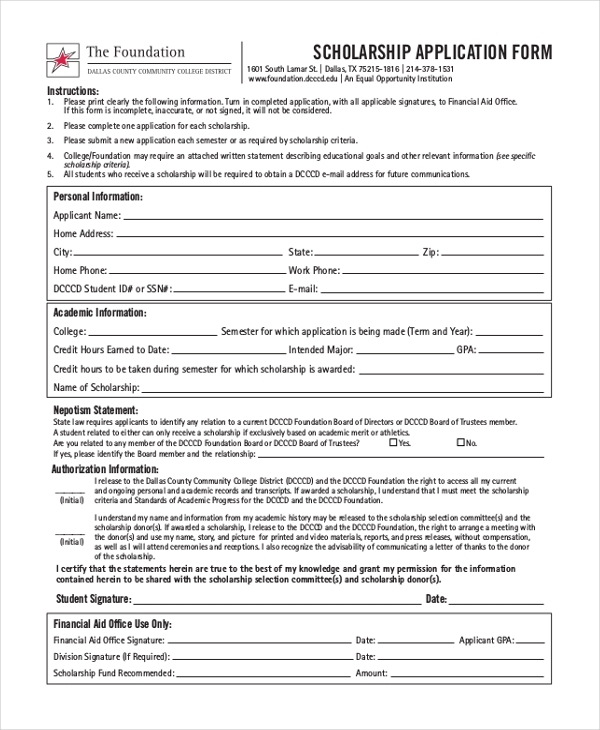 This form follows a general format and can be used by any institution or agency that is thinking of accepting applications from students interested in the scholarship. With all the important segments in place the user just needs to personalize the form. 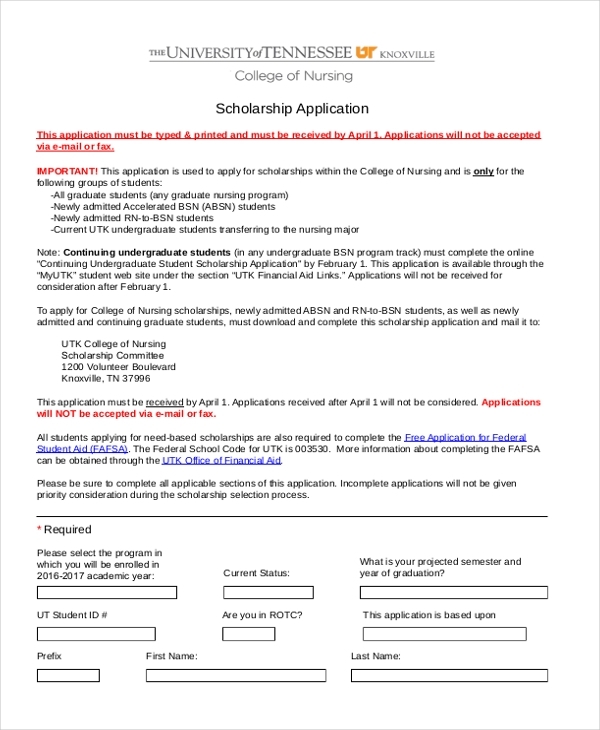 As the name indicates, this form is used by educational institutions that offer scholarship to the students studying for nursing. The students are required to fill in this form with their personal details and also the reason why they are trying for the scholarship. You can also see School Application Forms. A person who is not well aware of the format to be followed when designing a scholarship application form can use the aforesaid document for the purpose. The user can however make changes to it as per his requirements. 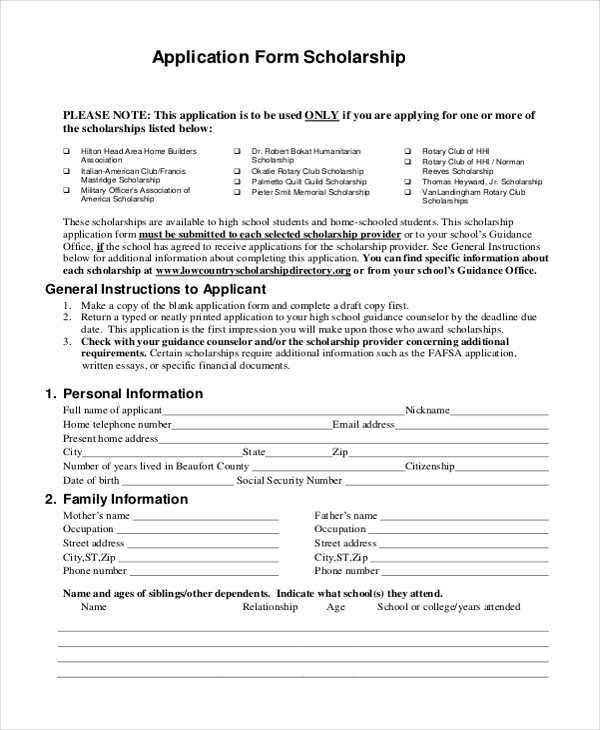 This form is used by colleges and universities to allow their students to apply for a scholarship that may be on offer. The interested students should fill in this form with the required details. They may also have to list the reason why they want the scholarship. You can also see College Application Forms. 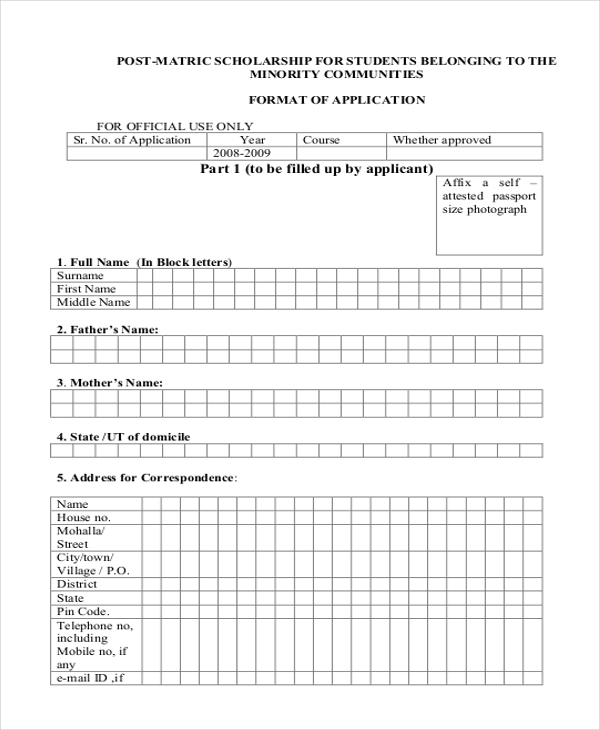 Educational institutions that offer minority scholarship to their students can use this form to allow the students to apply for it. However, the student applying for the scholarship would have to present proper proof about his minority status while submitting the form. 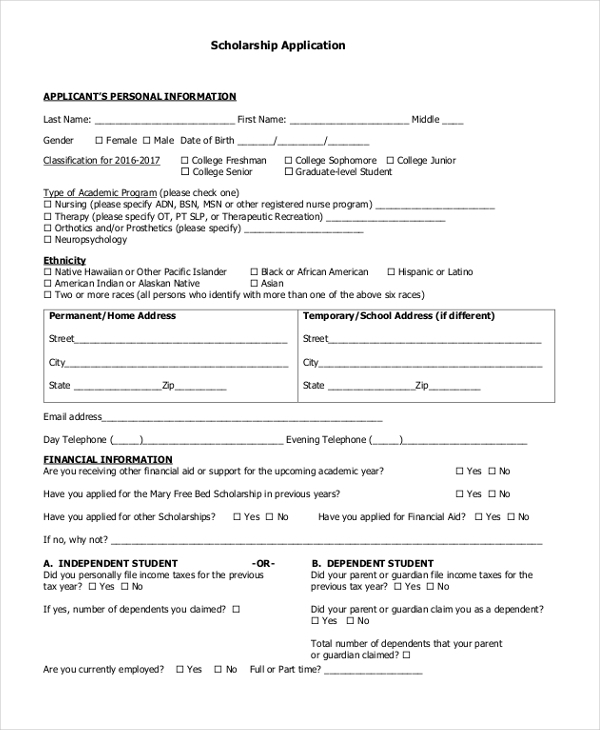 This form can be used by colleges and universities to offer scholarship to the students who might have just completed their matriculation and joined higher studies. In the form, the student in required to fill in his personal details and the reason for seeking the scholarship. 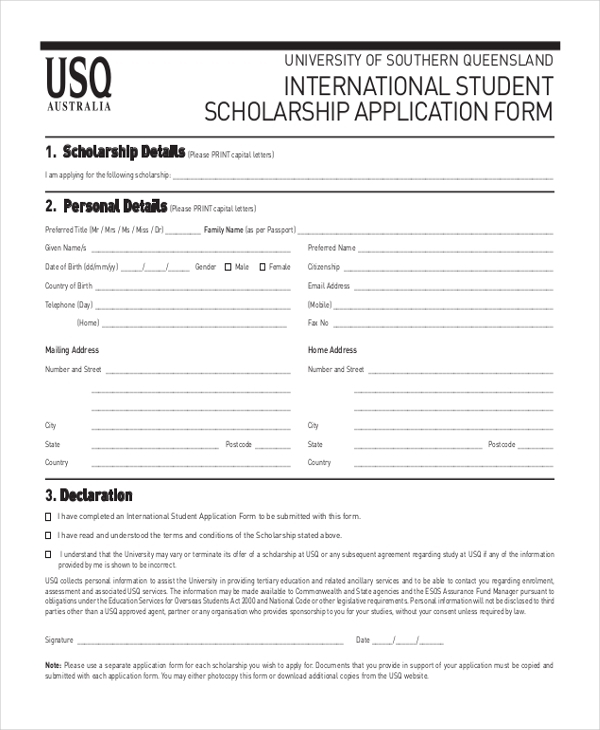 Educational institutions that offer scholarship to their international students can use the aforesaid form to allow these students to apply for the scholarship. The student would however have to present valid proof about his citizen status with this Student Application Forms. 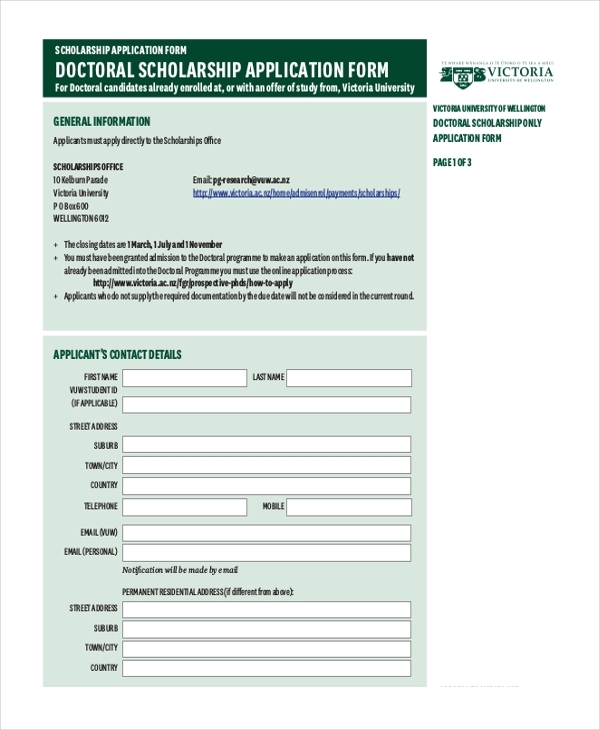 This form is used by universities that offer doctoral scholarships to the students who may be pursuing their doctorate in a particular subject. The student is required to fill in the form with all the relevant details and then submit it for review. What are The Benefits of Using Scholarship Application Forms? 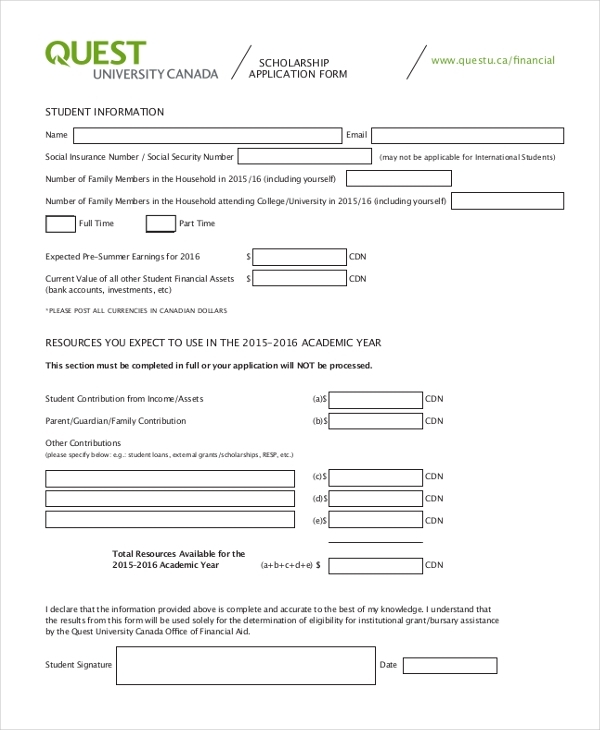 Need some help in designing a Scholarship Application Form? Take a look at the wide range of forms that we have to offer. You are sure to find one that would be apt for your needs. Download this and then customize it as per your requirements. Available in PDF and MS Word format, these forms are compatible with all devices and hence an ideal choice. You may also see Sponsorship Application Forms.